Naast de nieuwe kleuren, is ook de snelheid van leveren teruggebracht. Voor 7.00 uur 's ochtends besteld is levering dezelfde dag. 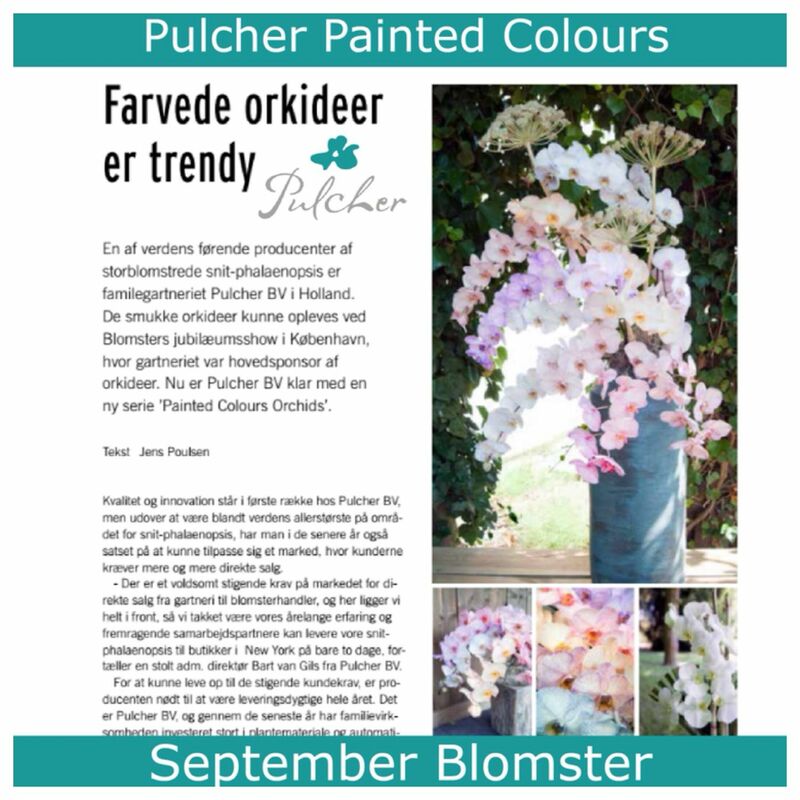 Blomster Magazine Denemarken publiceerde september dit jaar een artikel over deze nieuwe lijn. Being one of the six worldwide suppliers of large-flowered cut-phalaenopsis, family business Pulcher BV is leading supplier of high quality phalaenopsis. The increasing demand of renewal didn’t escape the attention of the grower, and therefore proudly presents the new “Painted Colours Orchids”. As CEO Bart van Gils mentions: “There is a huge increase in the area of direct sale. Speed and customization towards customers is what makes us unique. To ensure this degree of alignment, the grower offers continuity in the assortment throughout the year. In the last few years, we have invested heavily in our cultivation concerning plant stock, transport and engineering to ensure quality throughout the year " the grower announces proudly. 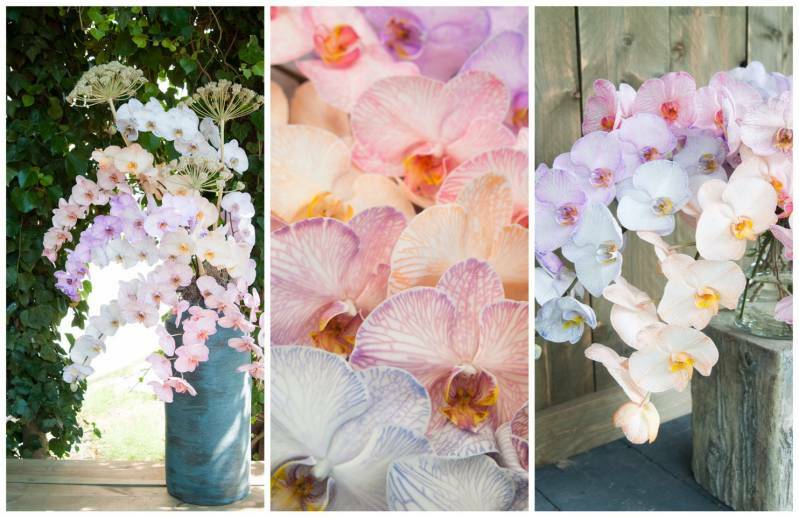 In collaboration with our plant supplier Anthura, the cut-phalaenopsis are selected for durability and presentation. The consumer is always looking for something new. There are trend colors, but because of the nature of this cultivation, it is difficult to respond to this. But we made it happen! We proudly present our unique product: the Painted Colors Orchids. 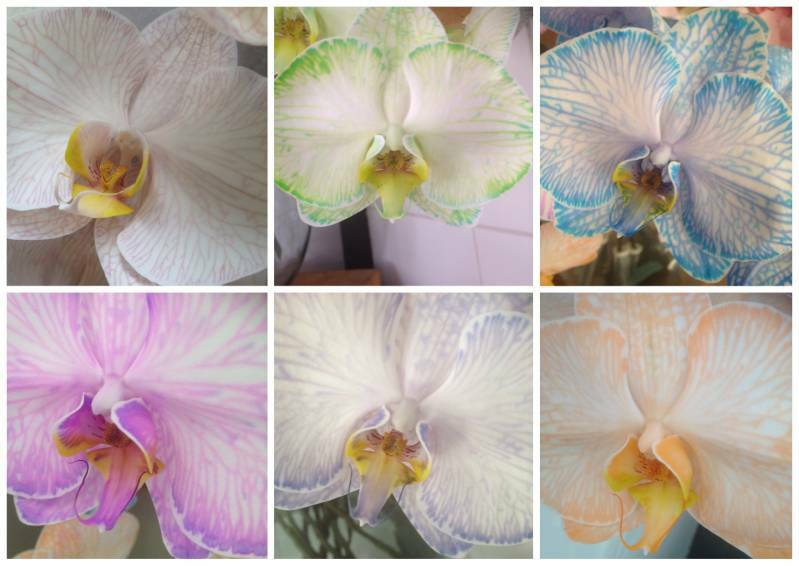 The cut phalaenopsis can be presented in a large number of non-natural colors by means of a special coloring process. The grower has started offering seven main colors but is already looking forward to expanding. "In addition, the wishes from floral designers, retailers and trends are leading us. We would like to hear from the Danish retailers what their wishes and desires are. " concludes Bart van Gils.